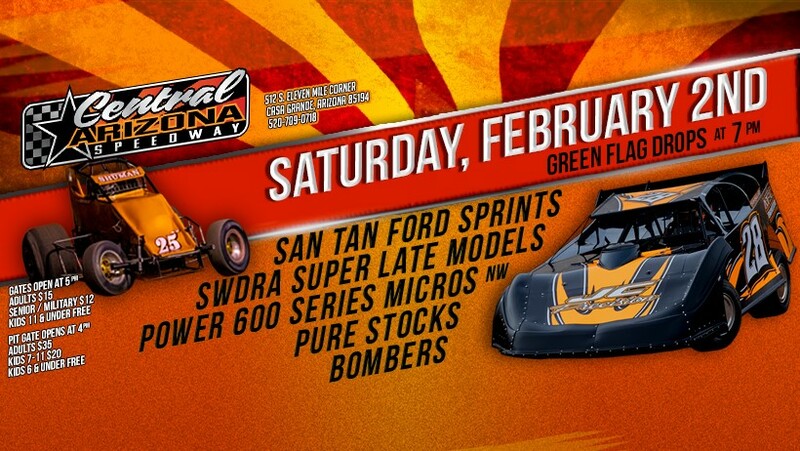 Central Arizona Speedway’s Season Opener heats it up Saturday night February 2 with a action packed event featuring San Tan Ford Sprints, Late Models, Pure Stocks, Bombers and Power 600 Series Micros. 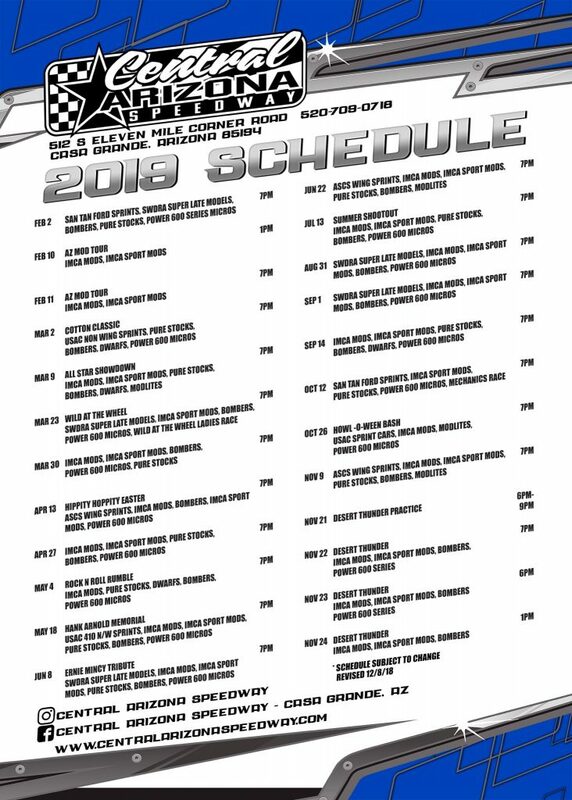 As the 2019 Championship season starts, the teams can’t wait to get back to the high speed facility. 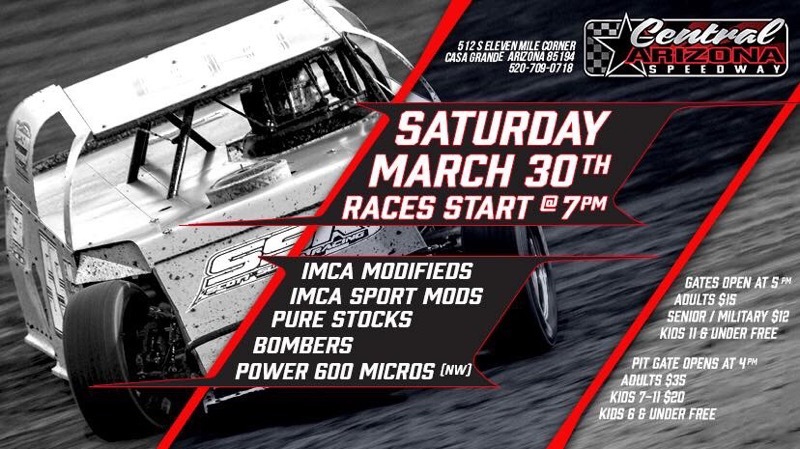 Regardless of your division preference there is something for everyone Saturday night. 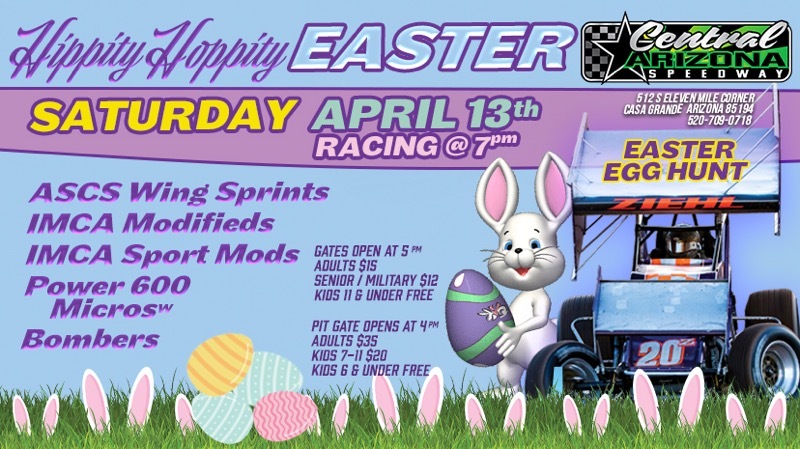 Pit Gate opens at 4:00pm, Front Gate opens at 5:00pm. 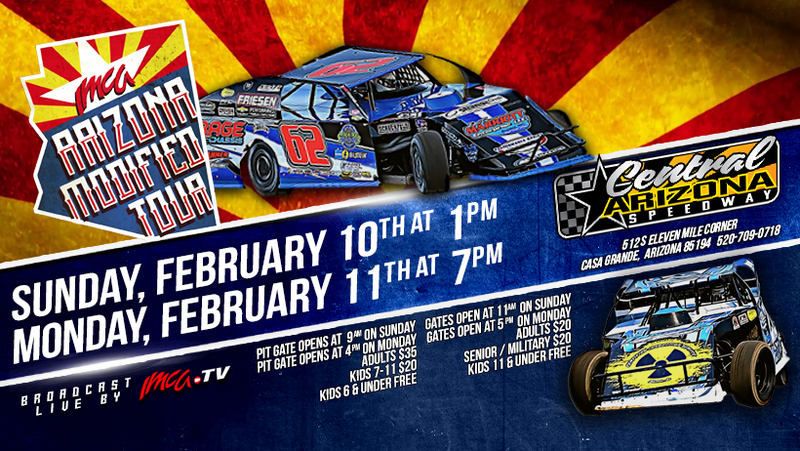 Cost of admission is $15 for adults, $12 for senior and kids 11 and under are free. 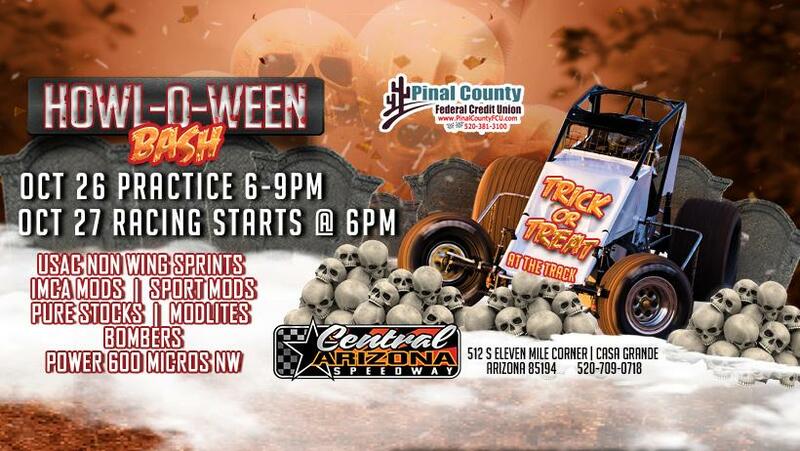 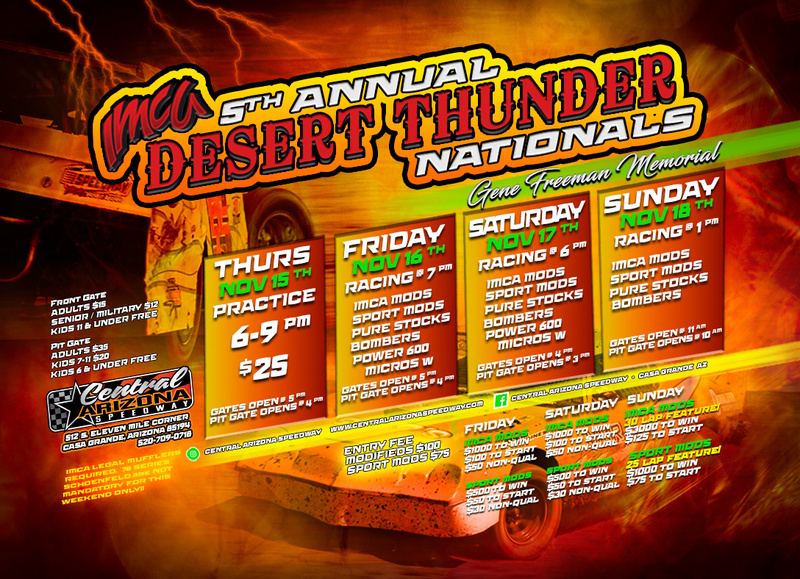 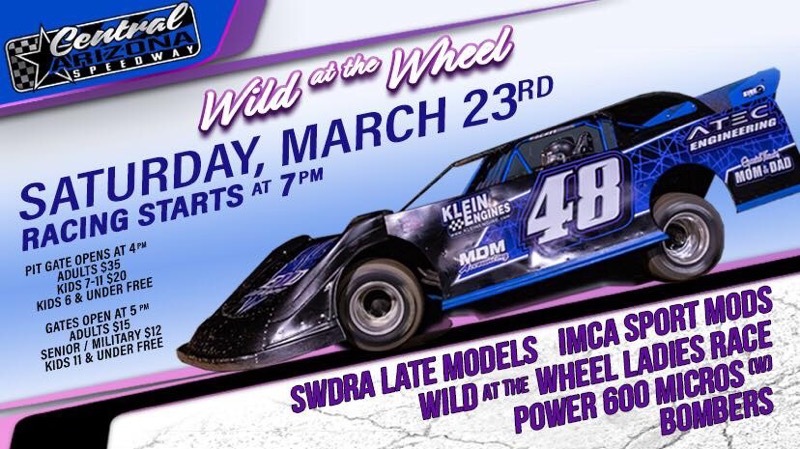 Central Arizona Speedway is located at 512 S Eleven Mile Corner Road, Casa Grande, AZ 85194 at the Pinal county fairgrounds.